NOTTINGHAMSHIRE, UK---A group of 13 leading UK artists based in and around Derbyshire and Staffordshire in England, produced work for The Adam & Eve Project's recently completed exhibition run during the Ashbourne Festival. 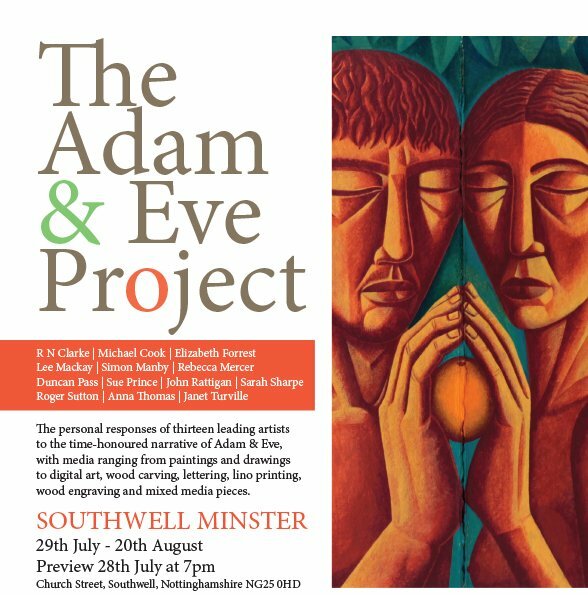 The exhibit now moves on to the Cathedral and Parish Church of the Blessed Virgin Mary in Southwell, Nottinghamshire where it will show from July 29 - August 20, 2017. 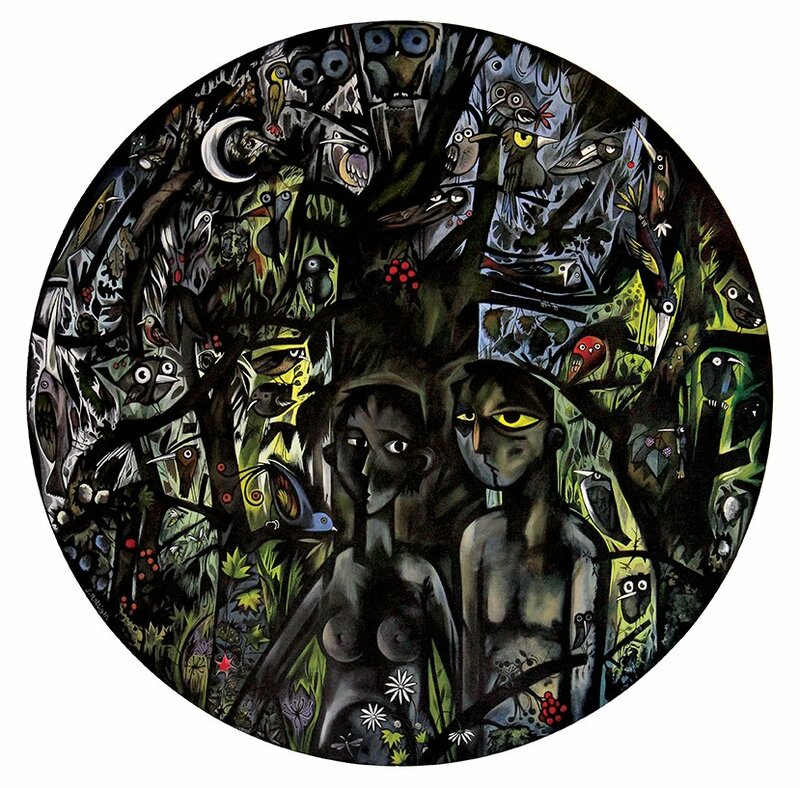 The project was organized by one of the participating artists, Mr. John Rattigan who painted a nearly four-foot round image of "Adam and Eve" hiding in the darkness. The Adam & Eve project is a touring show and the majority of work is for sale. For more information see The Adam & Eve Project catalogue.